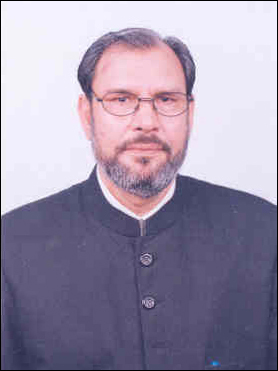 Joined legal profession in April 1970. 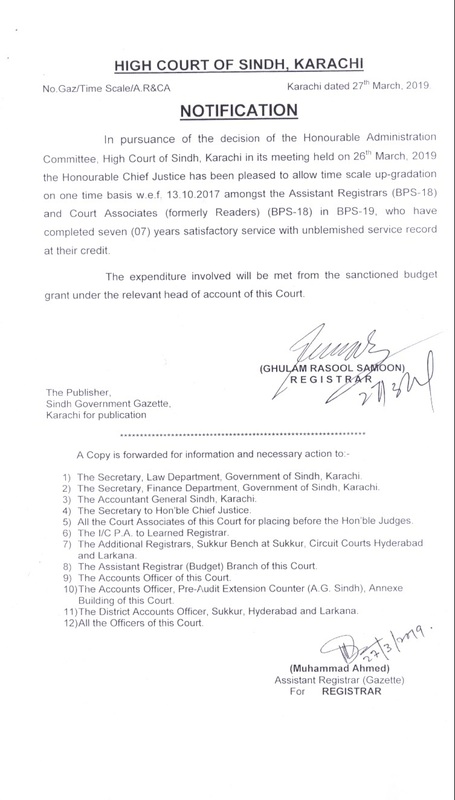 District Bar Khairpur, High Court Bar Association Sukkur. 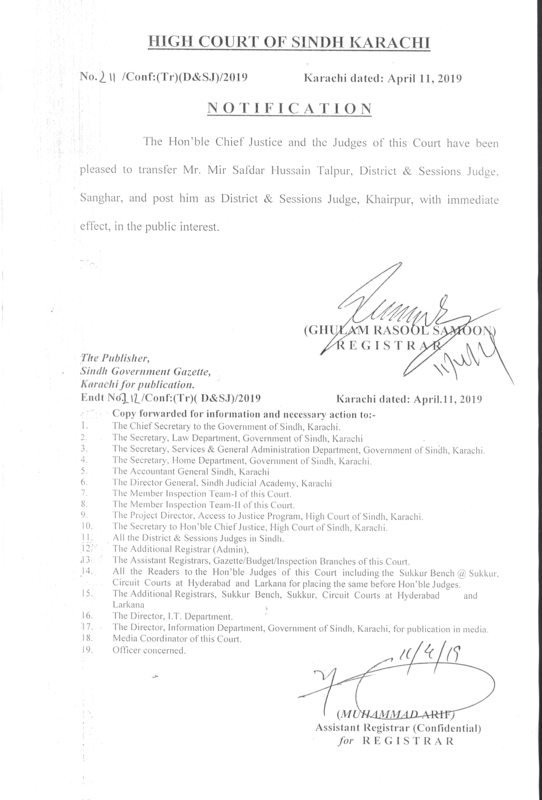 Taken up on the Panel of Advocate General Sindh for appearing on behalf of the State before High Court of Sindh in 1980 and since then have represented State in number of cases at Sukkur Bench up to appointment as Assistant Advocate General. 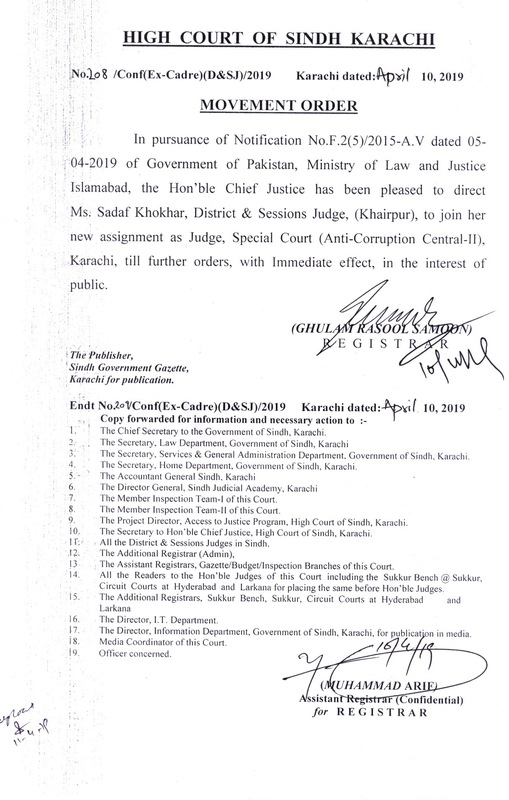 Appointed as Assistant Advocate General Sindh on 25th July, 1983, and since then working as Assistant Advocate General Sindh, High Court Sukkur Bench/Karachi. 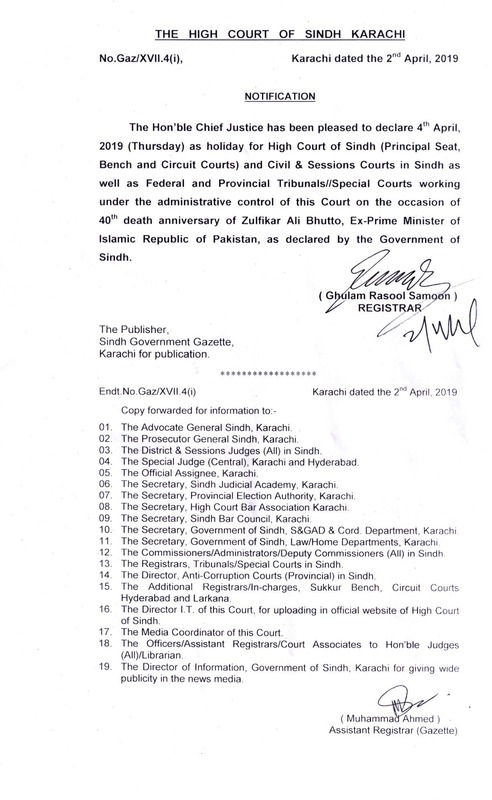 Hundreds of the cases which include Constitution Petitions, Criminal cases, Revenue and Labour cases are reported in different Law Journals from the year 1983 till to date. 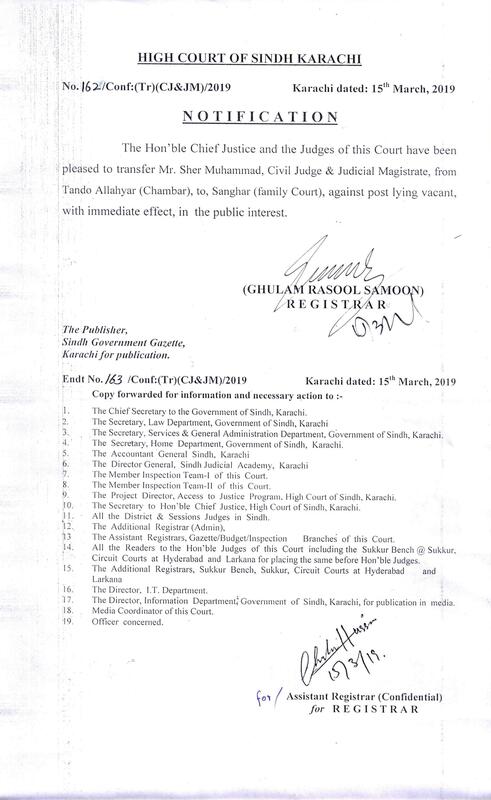 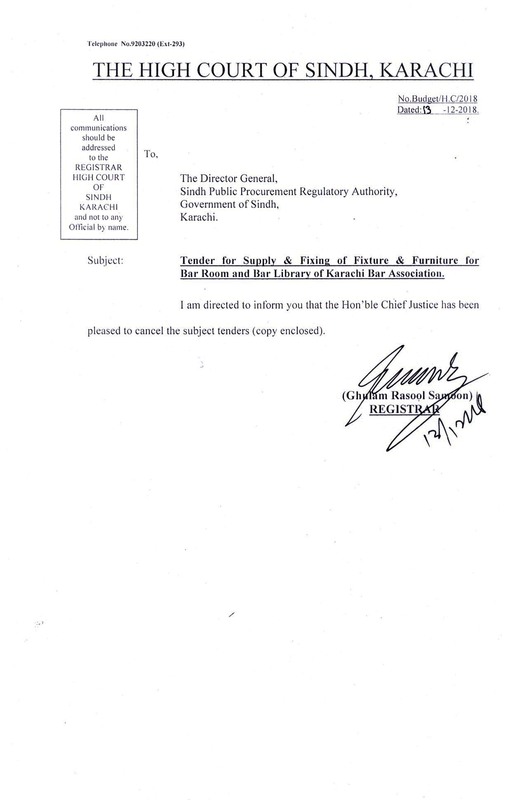 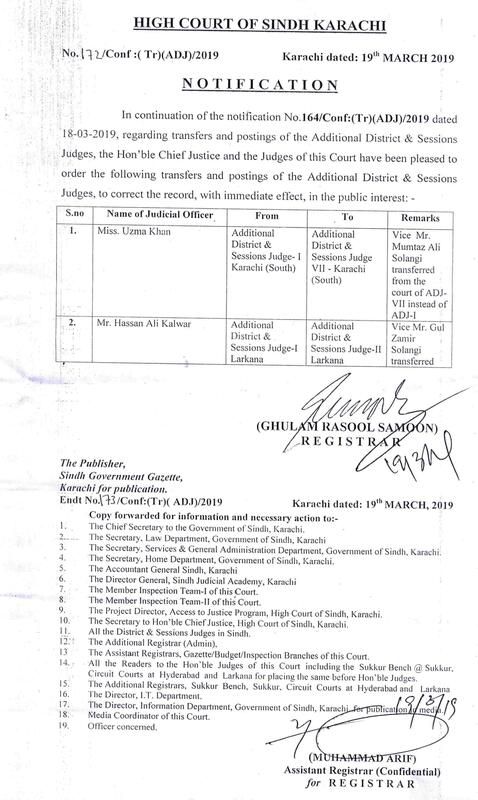 Thousands of the cases are there in which I have appeared as Assistant Advocate General Sindh on behalf of the Government of Sindh and are unreported cases from Karachi and Sukkur Benches. 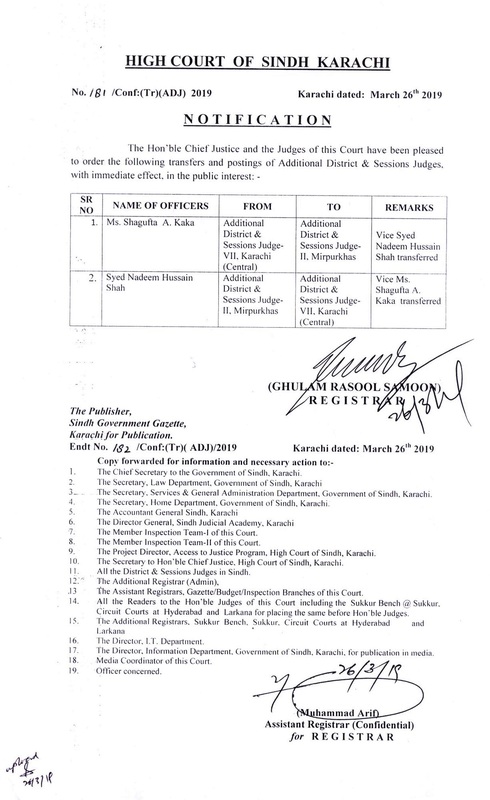 I also represented the State in Hon'ble Supreme Court of Pakistan after my enrolment as Advocate of Hon'ble Supreme Court of Pakistan till to date. 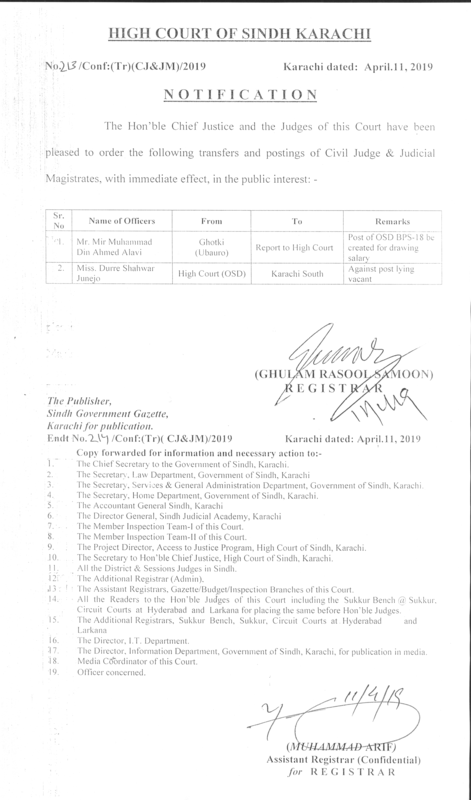 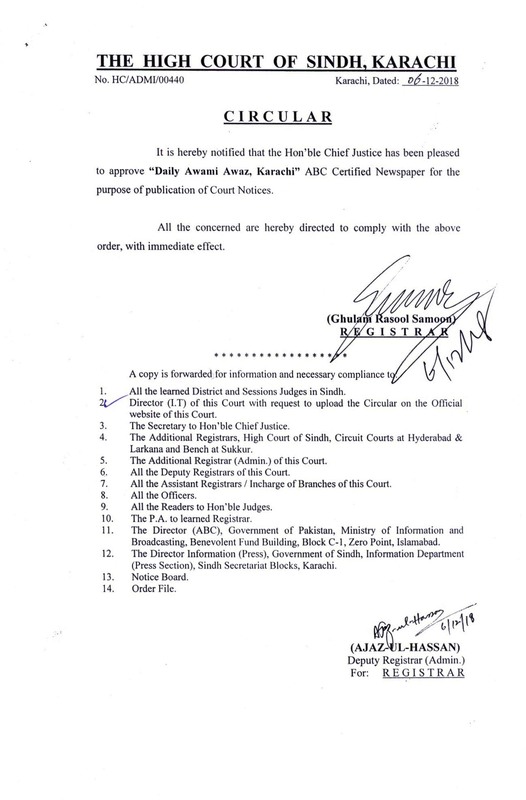 Promoted as Additional Advocate General Sindh on 14-12-1996 and resumed as Additional Advocate General Sindh on 15-12-1996 and worked as such till elevation to the Bench of the High Court of Sindh. 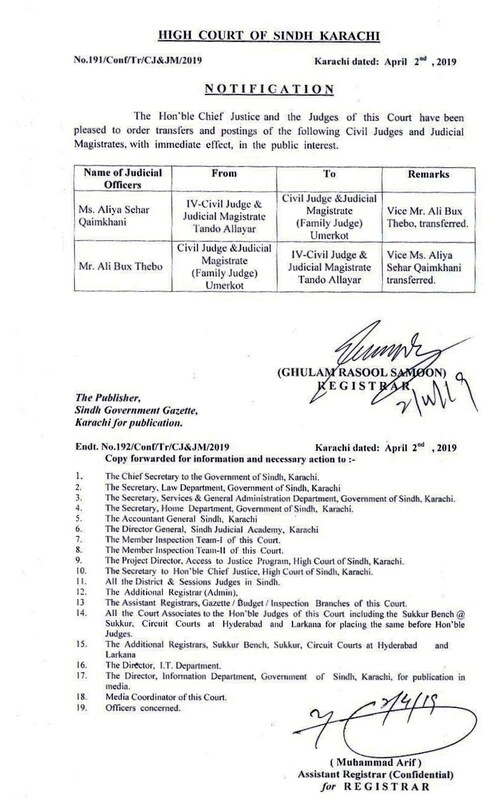 On 10th October 2000 elevated as Judge, High Court of Sindh.